Do you wish to sink teeth hard into the competition without losing its texture or shelling out huge amounts? 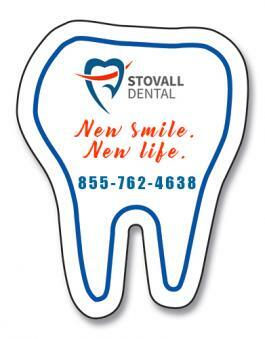 We suggest you grab this personalized tooth shape full color magnet (1.75 x 2.25) for value building. It is a perfect choice for gifting if you are orthodontist, dentist or a chocolatier or a denture supplies unit. You can buy it at extremely lower prices by placing mass orders. 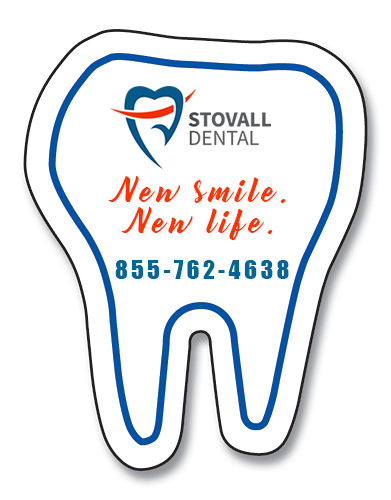 This tooth shape magnet can be gifted on any regular business day or during medical camps or promotional events. Request a quote to know discounts on bulk orders of this custom tooth shaped magnet. Product Size: 1.75 in. x 2.25 in.